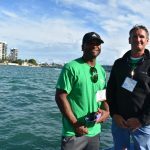 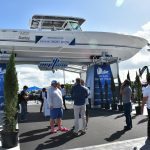 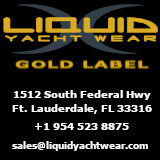 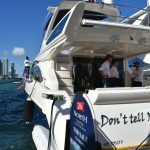 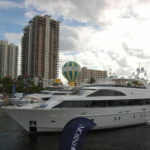 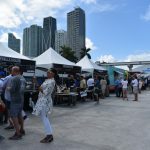 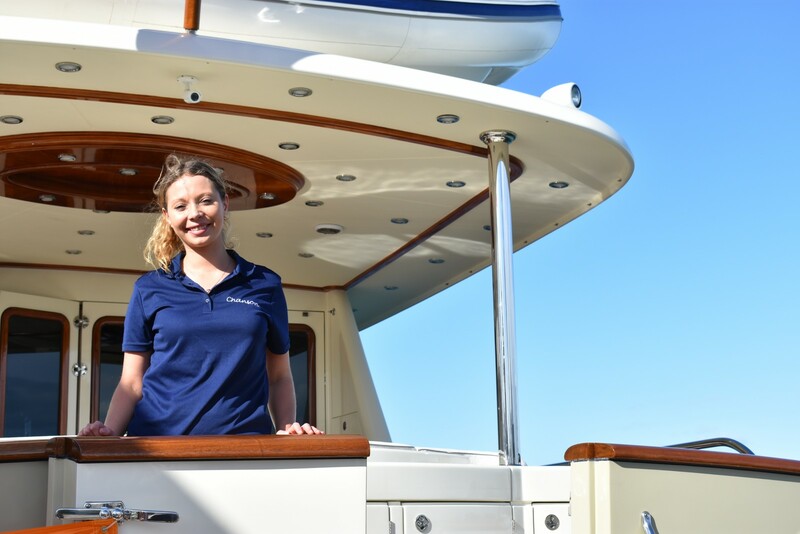 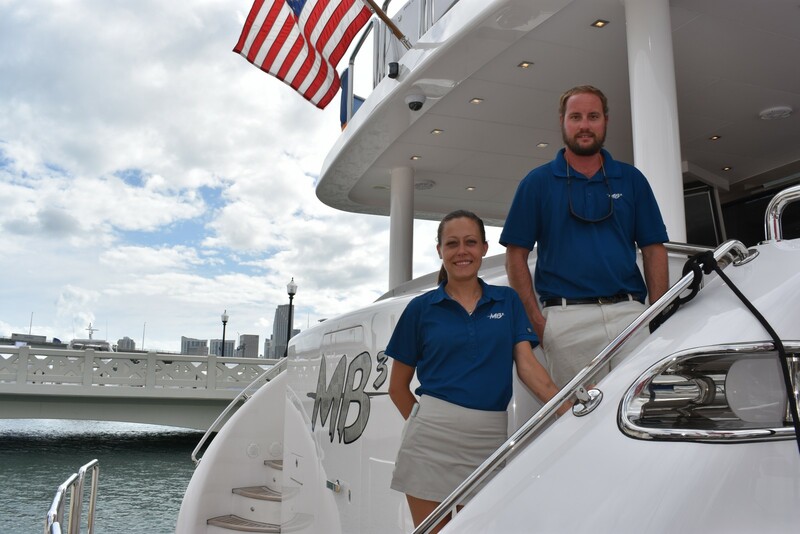 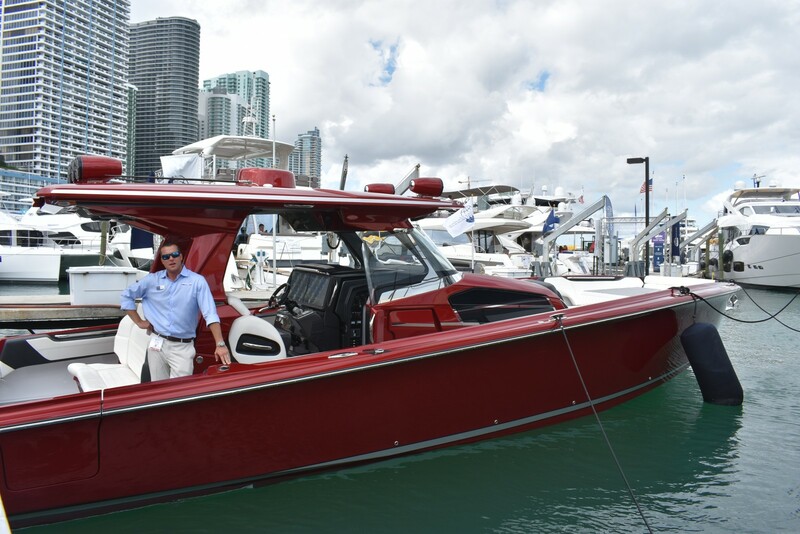 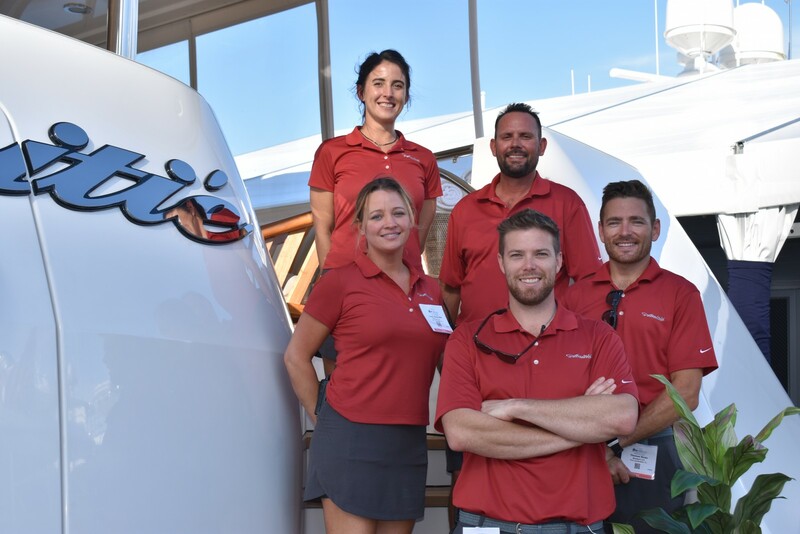 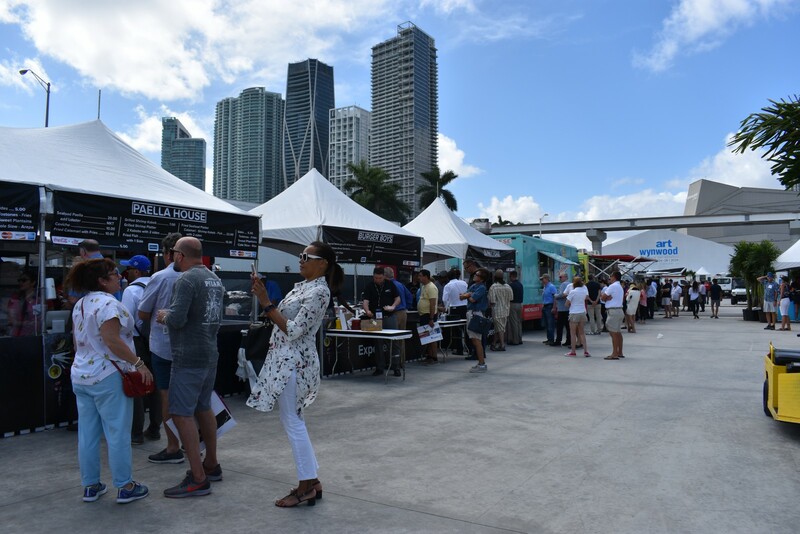 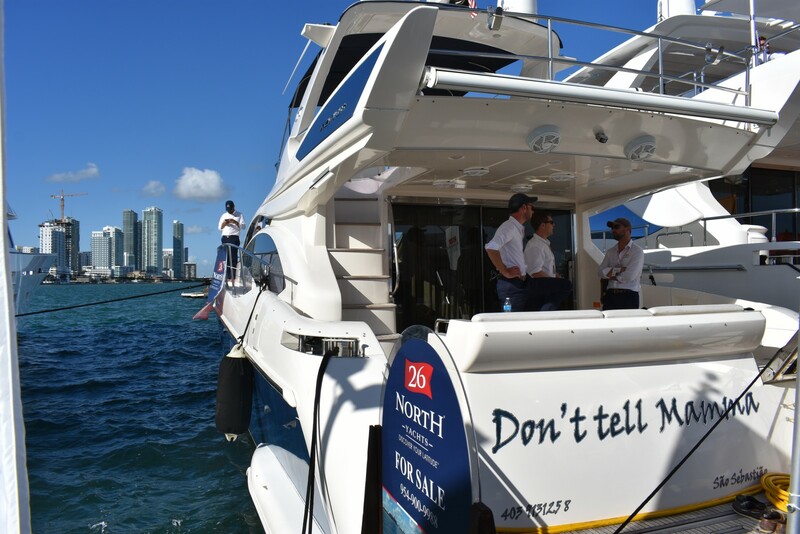 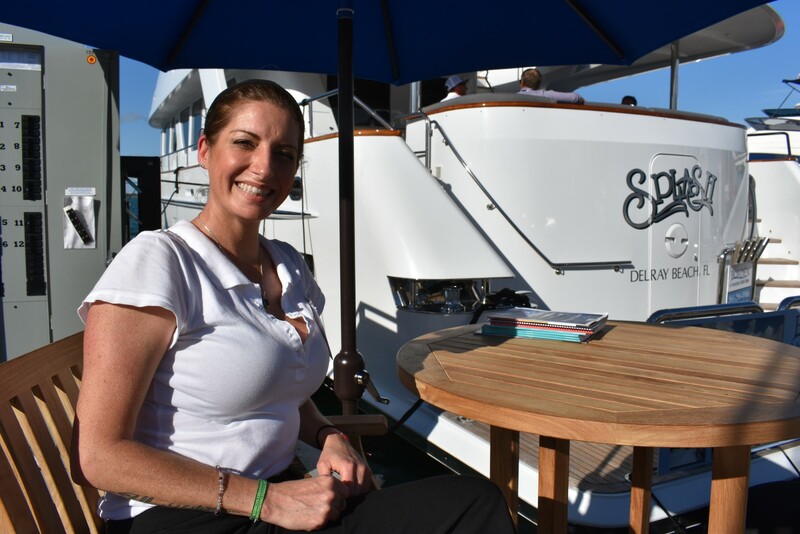 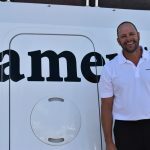 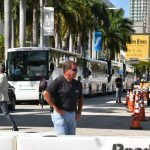 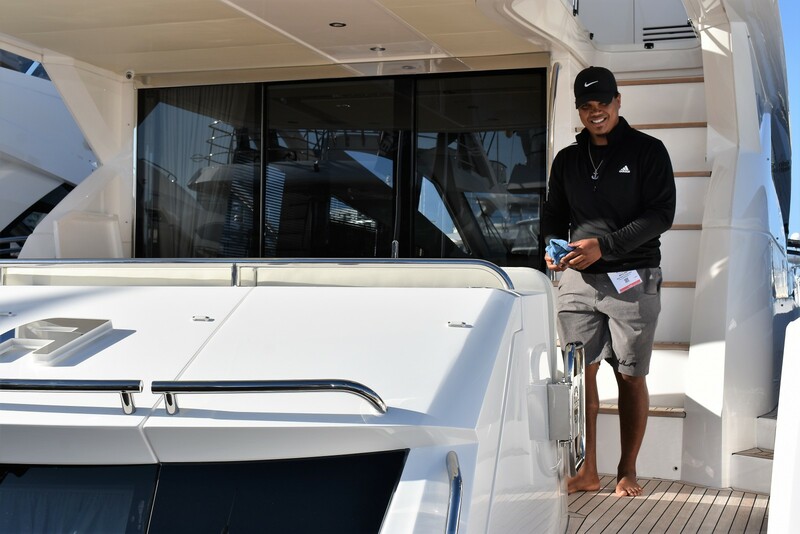 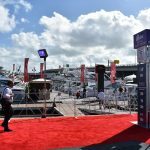 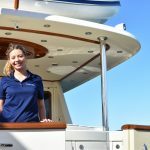 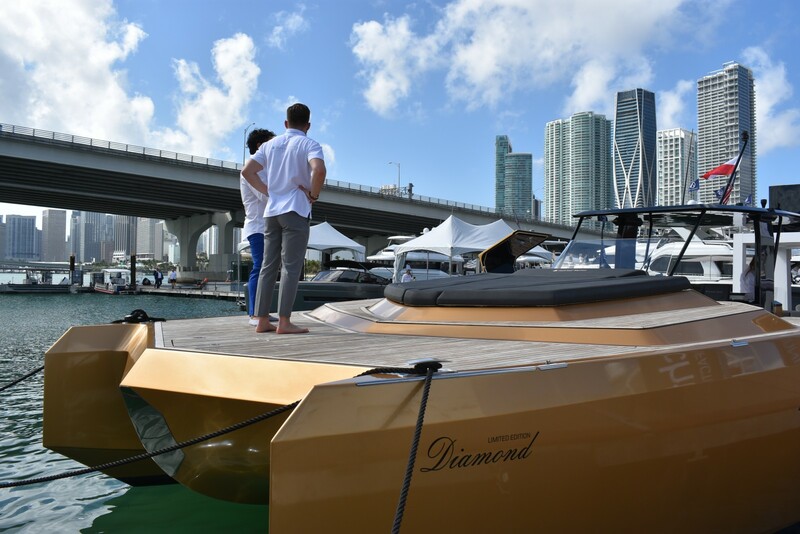 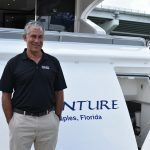 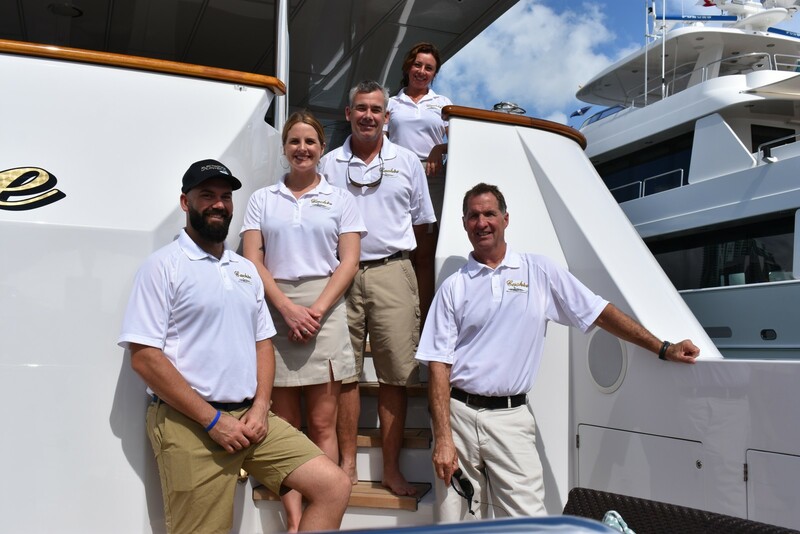 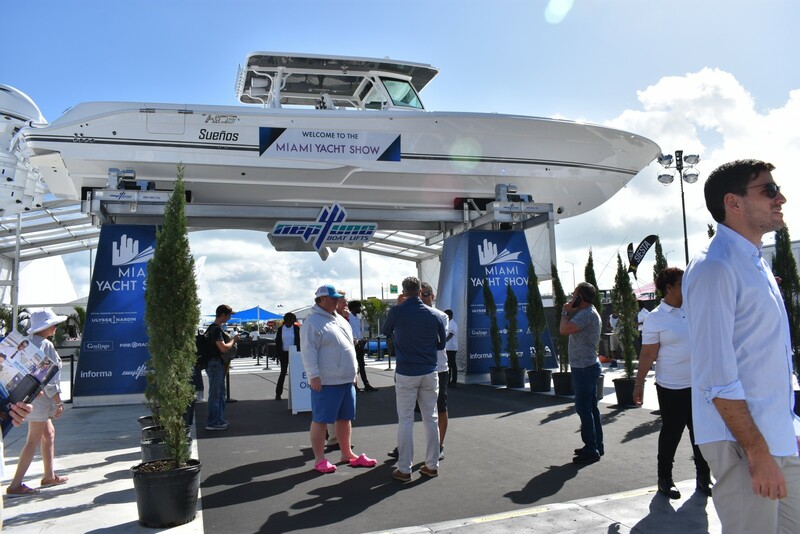 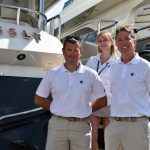 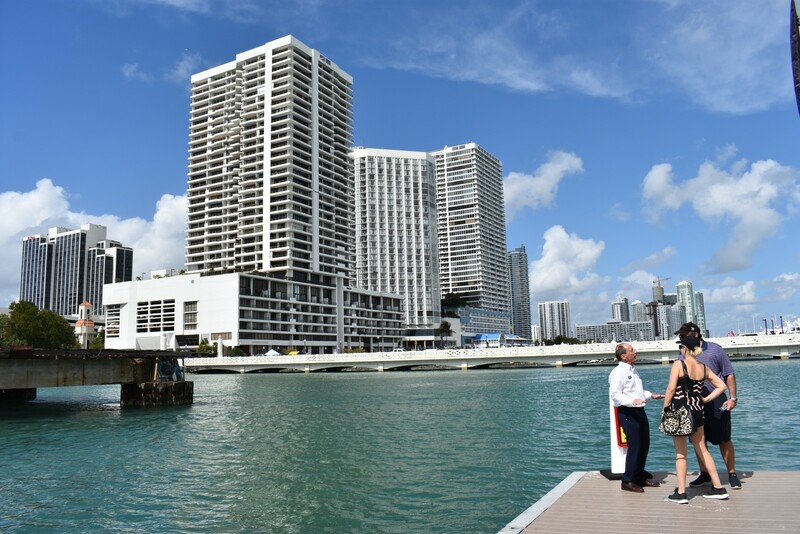 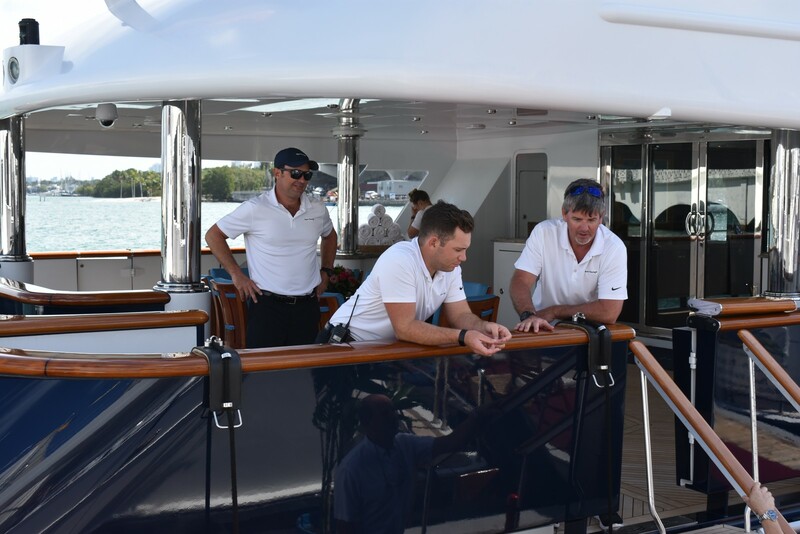 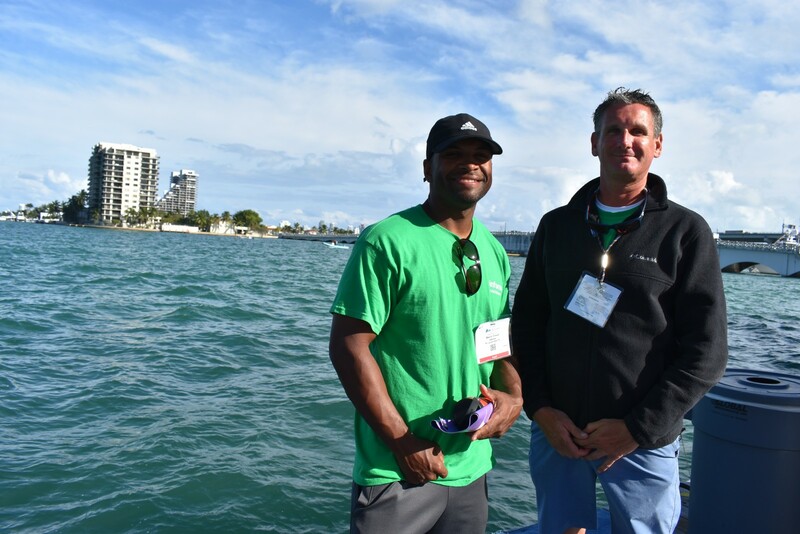 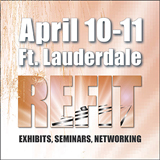 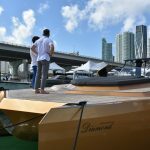 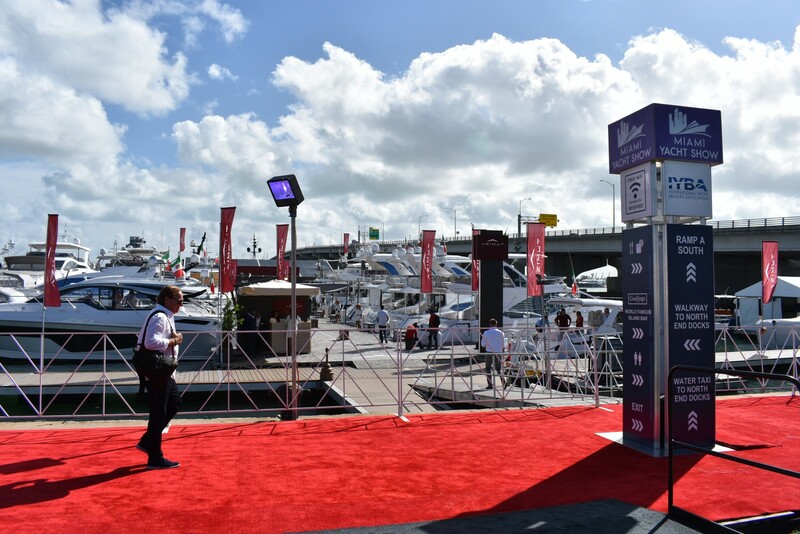 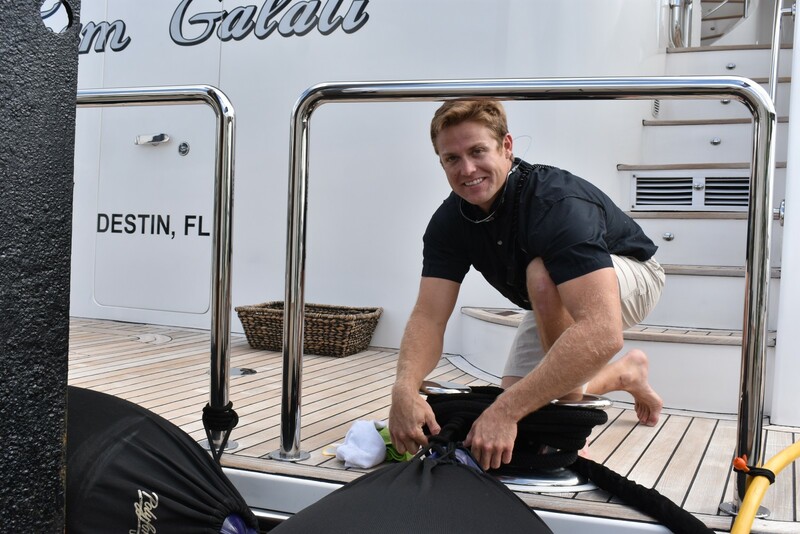 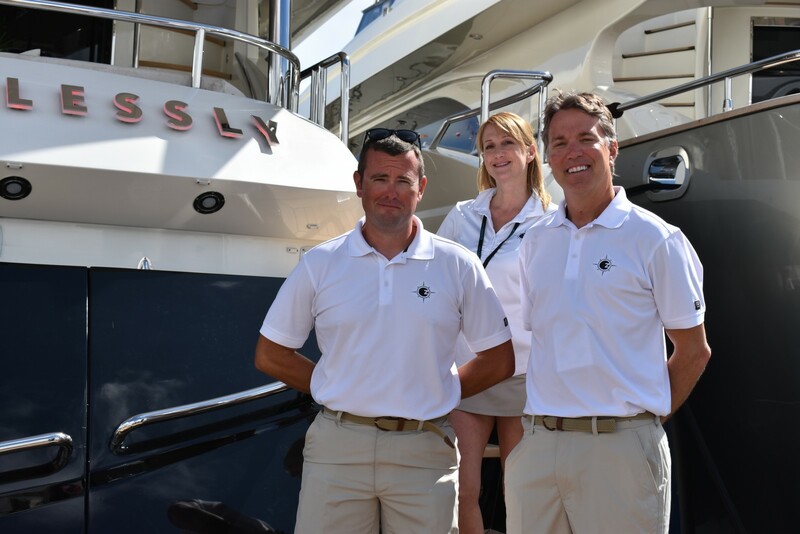 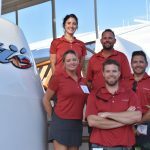 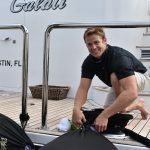 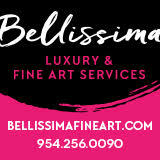 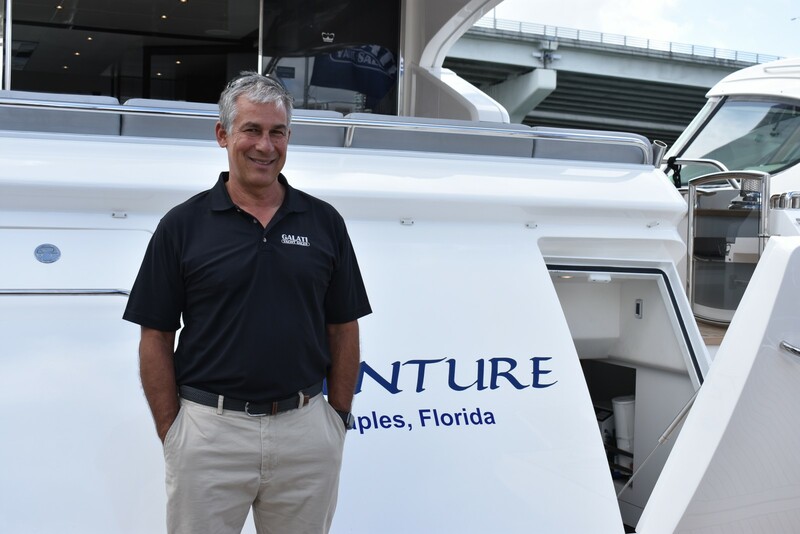 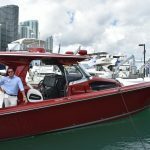 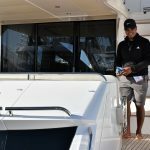 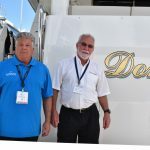 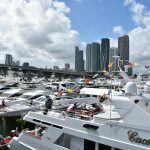 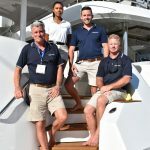 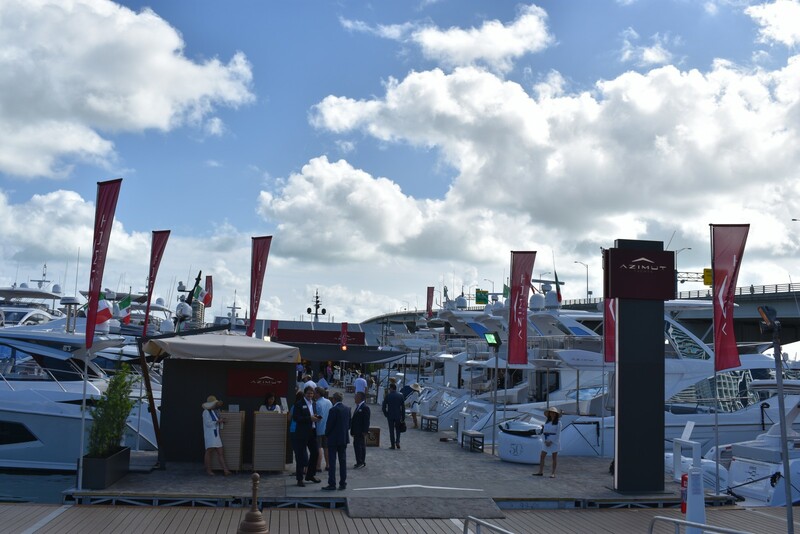 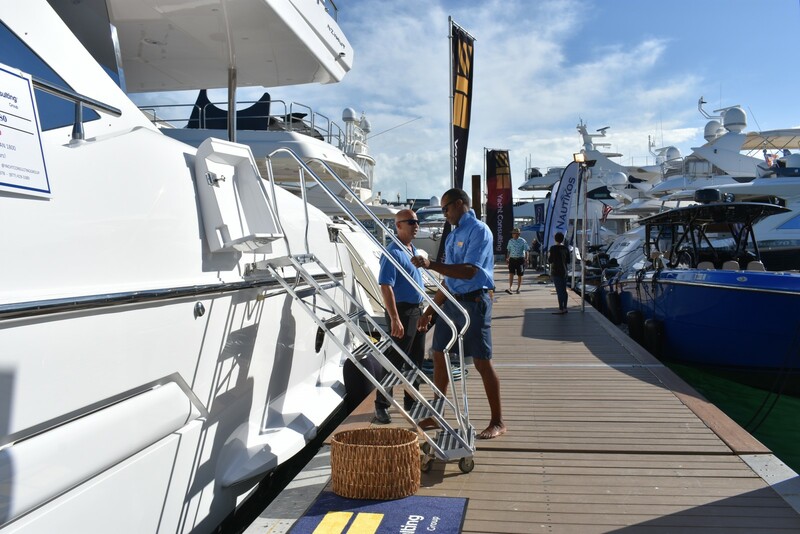 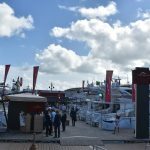 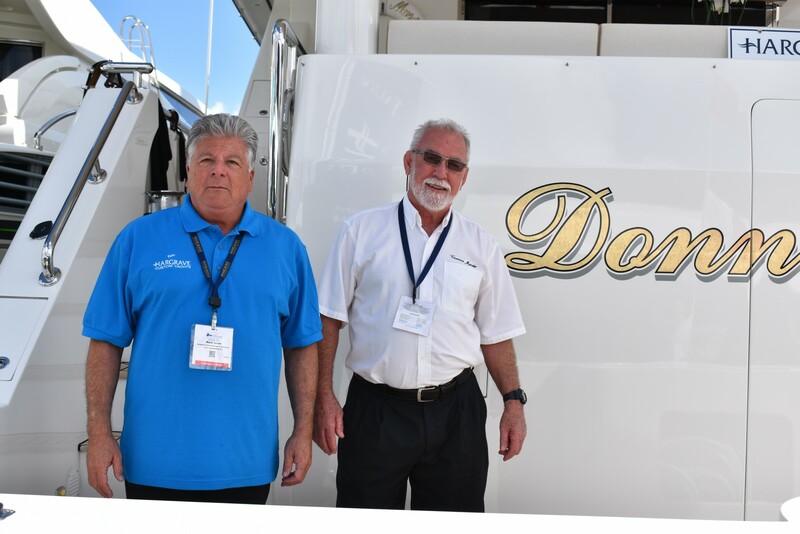 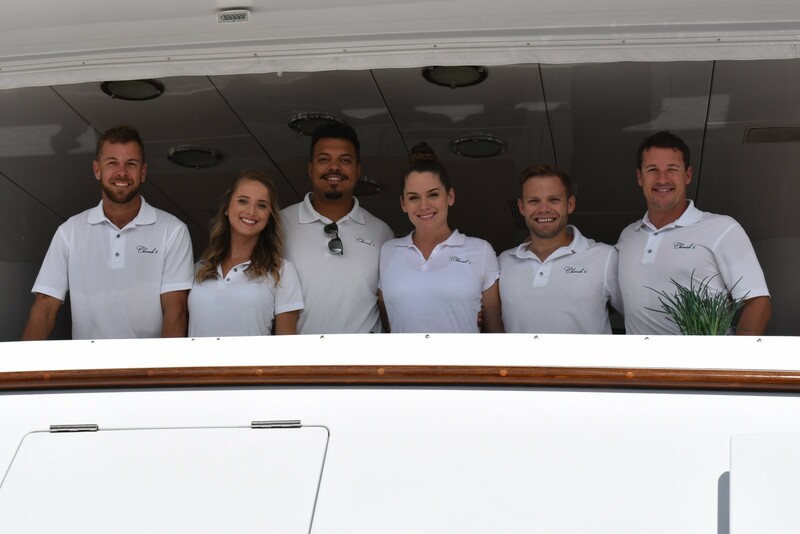 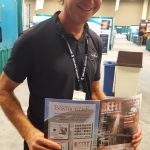 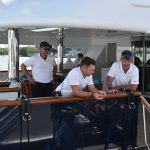 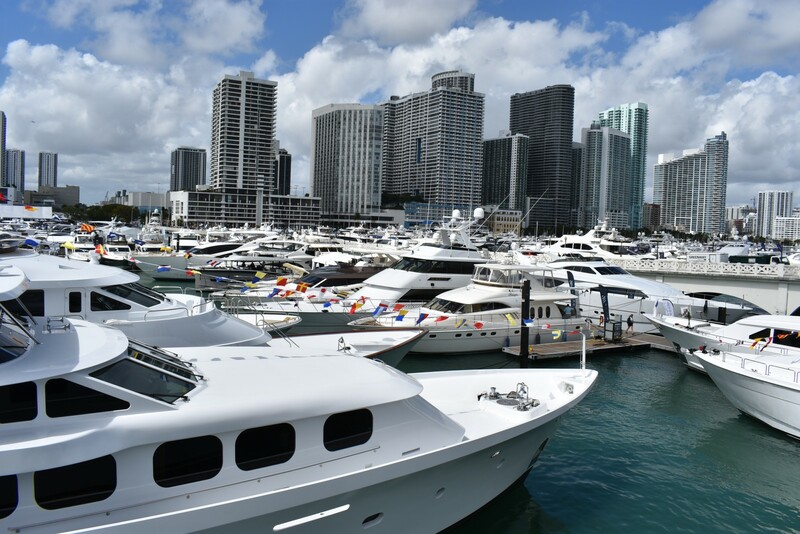 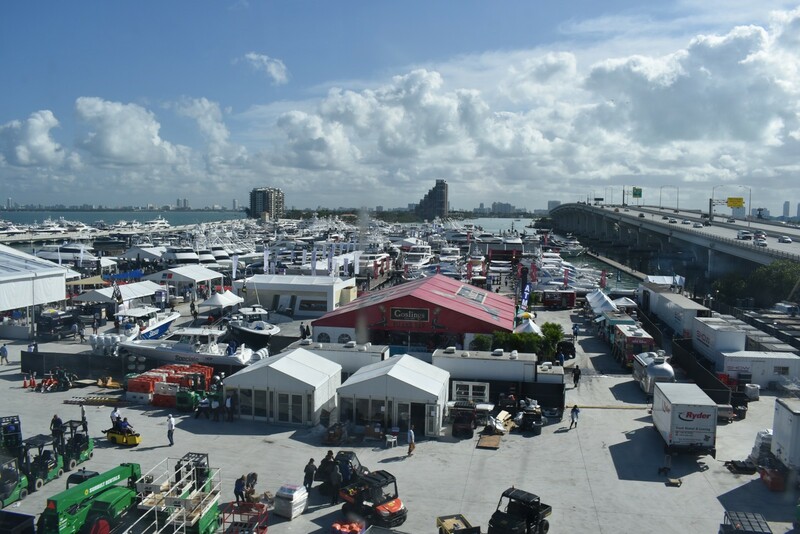 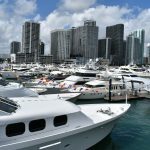 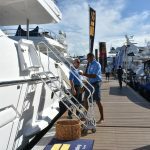 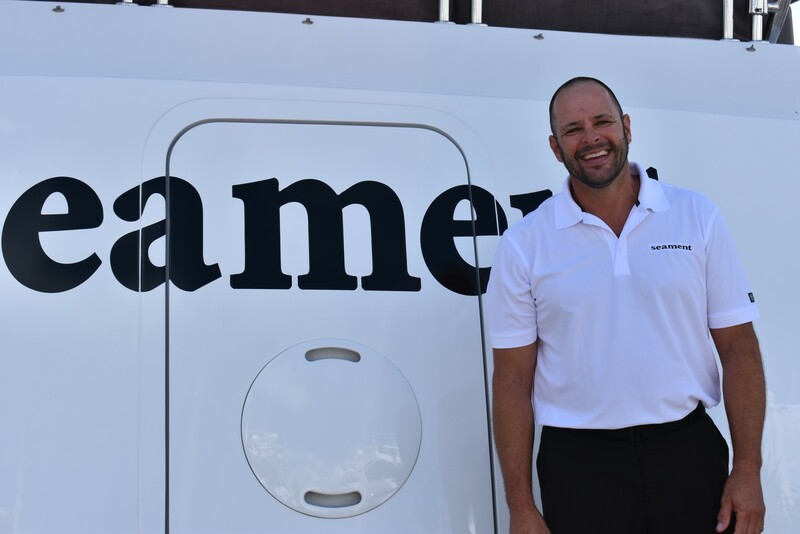 Yacht captains, crew and the boating industry visit the 31st edition of the Miami Yacht Show at a new location. 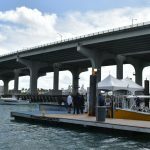 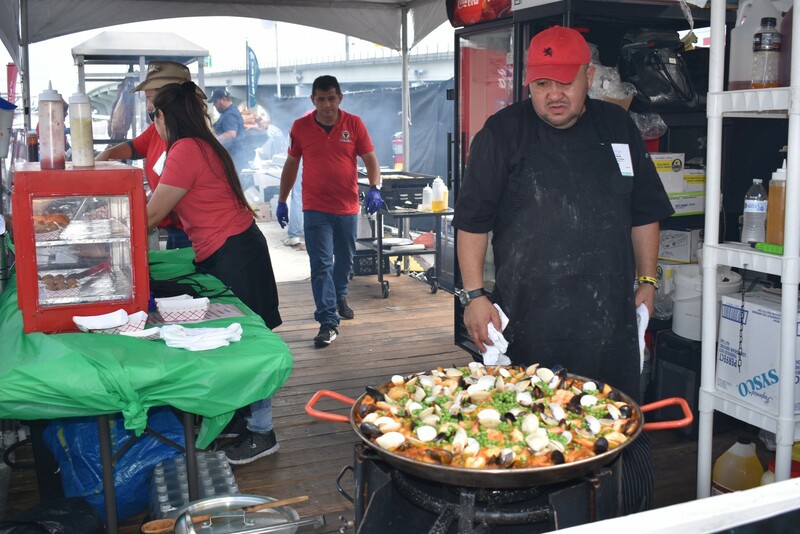 With a debut downtown on the Intracoastal Waterway, the move incorporated One Herald Plaza and Sea Isle Marina straddling the MacArthur and Venetian causeways. 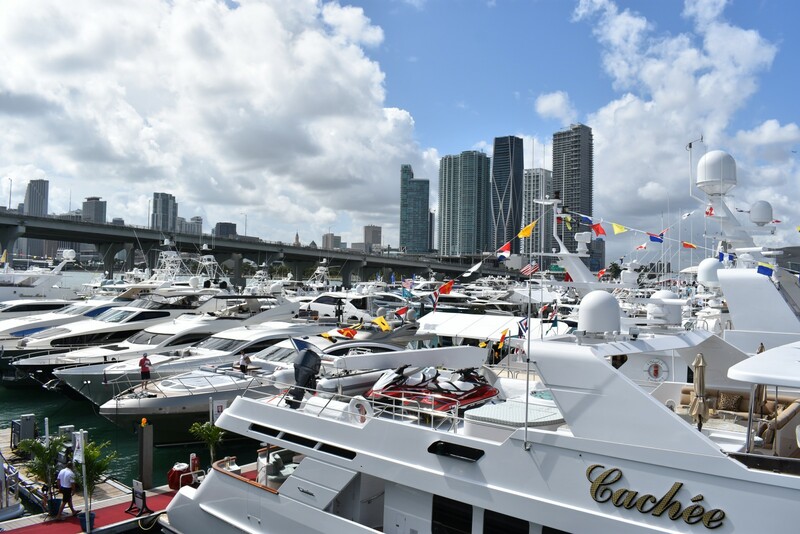 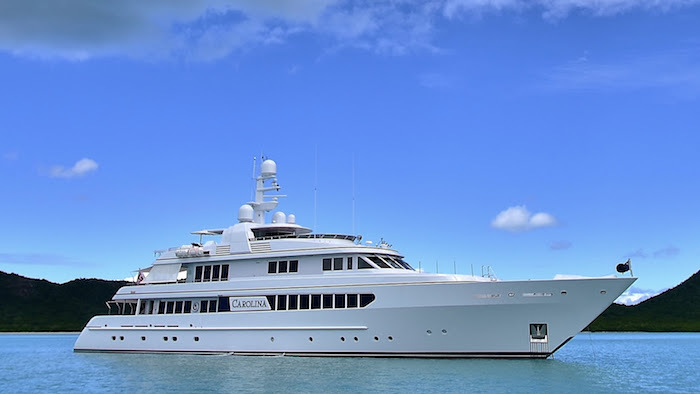 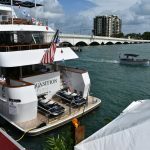 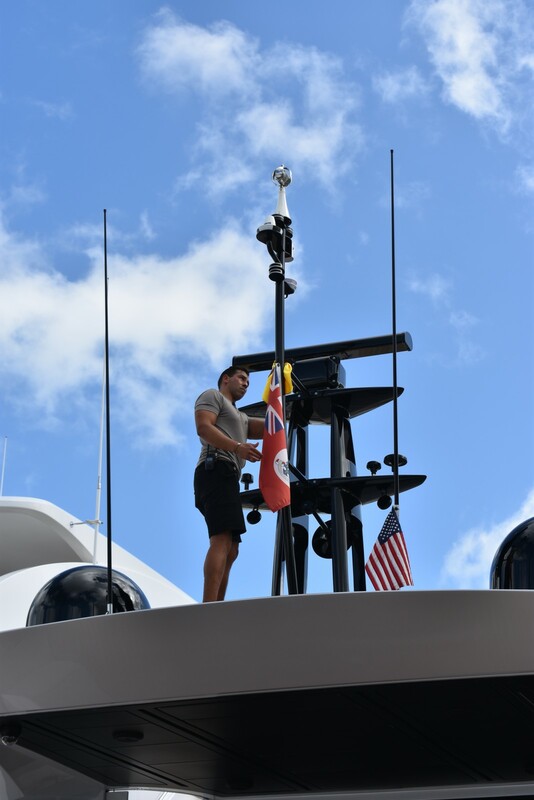 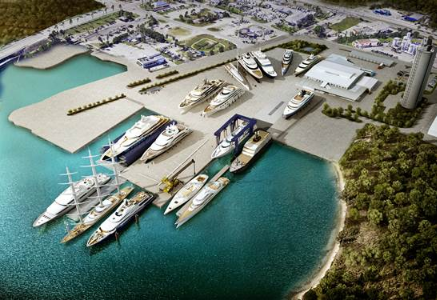 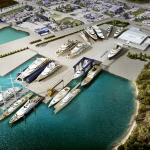 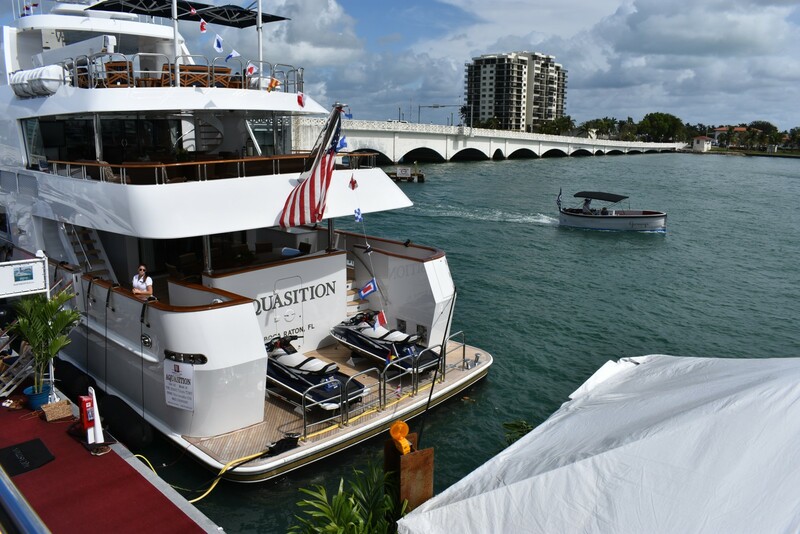 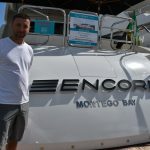 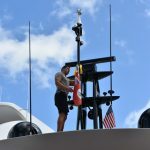 Also, the larger yacht section of the show, Superyacht Miami, runs concurrently at Deep Harbor at Island Gardens on Watson Island during Feb. 14-18. 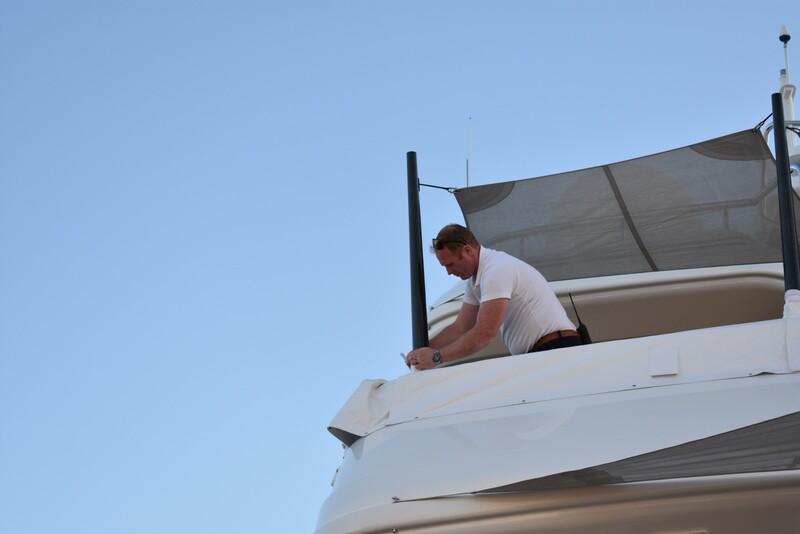 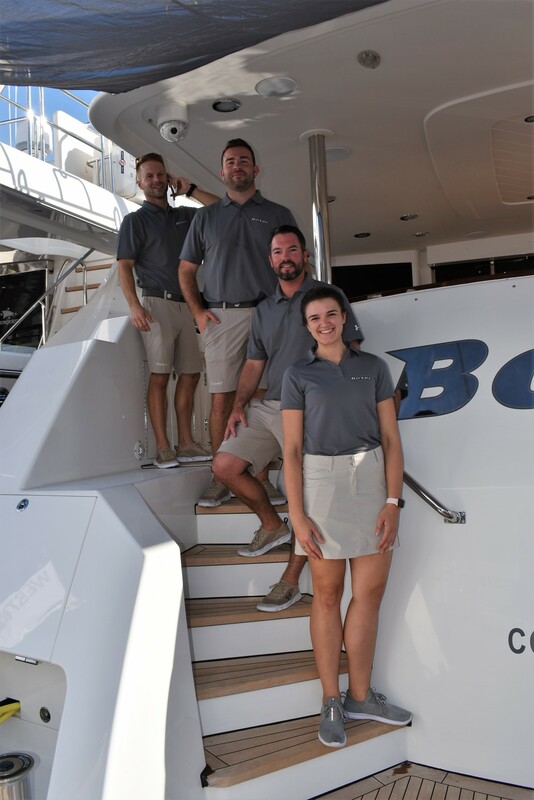 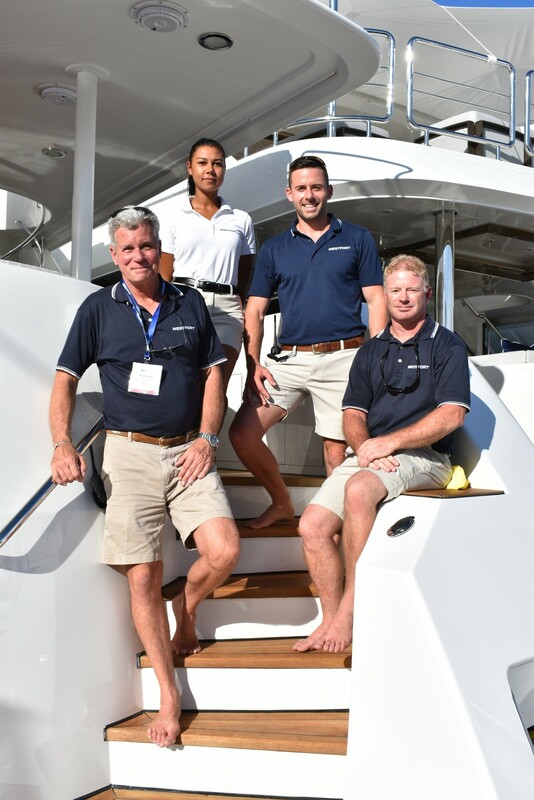 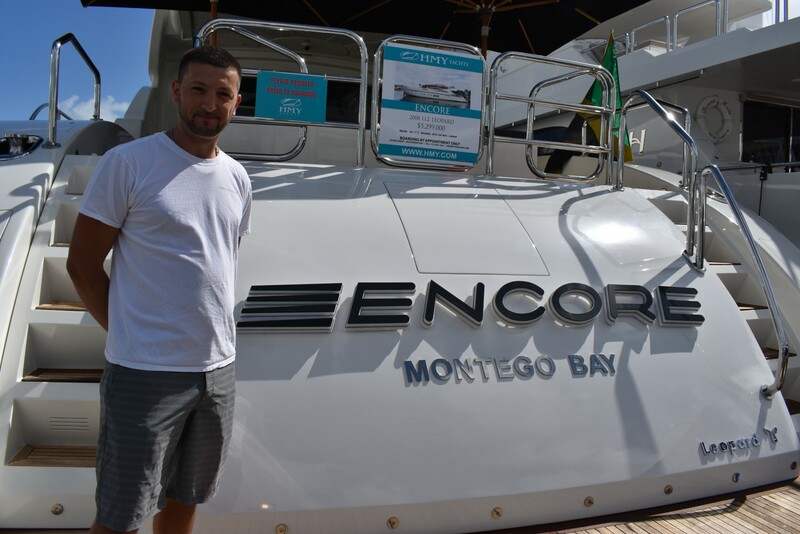 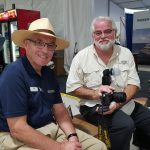 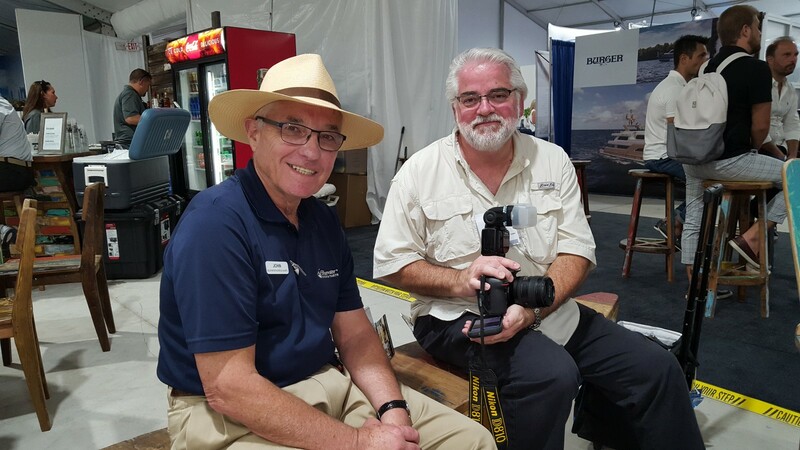 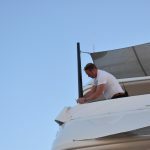 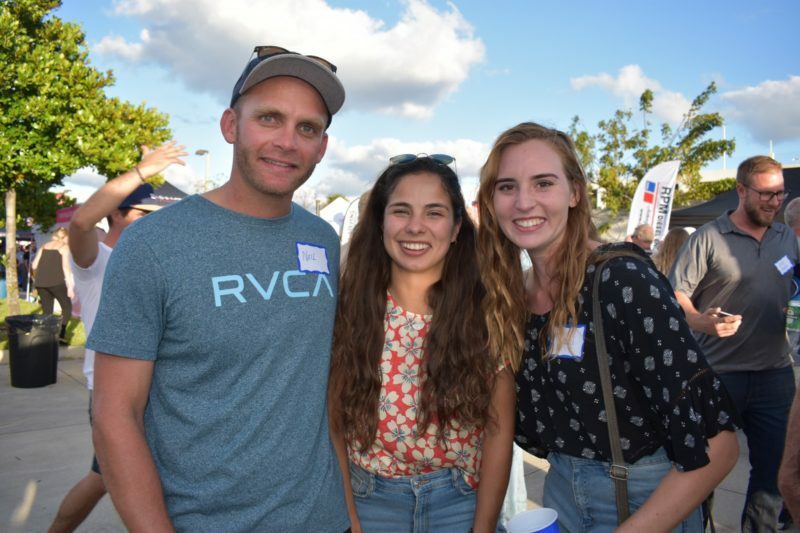 No matter where they are, captains and crew are at their best during boat shows and many take a break for photos. 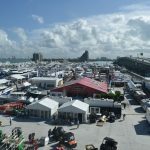 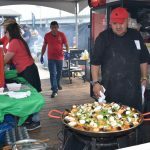 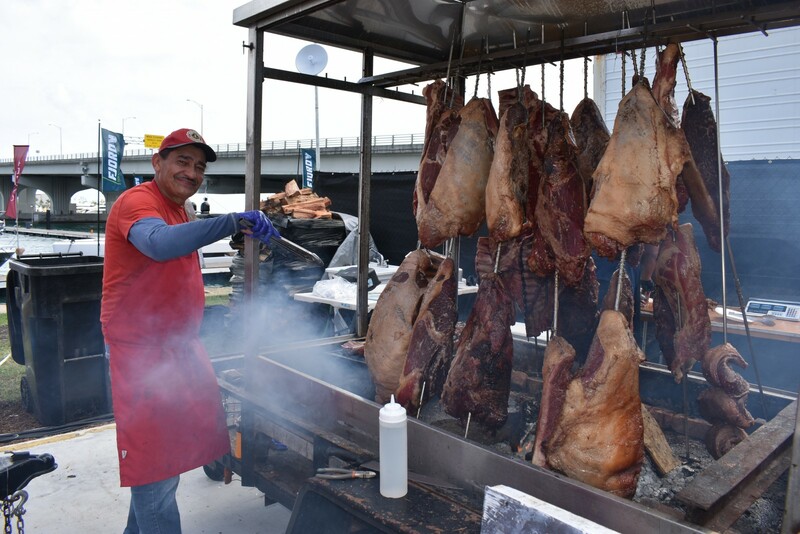 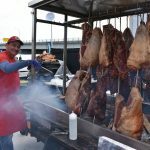 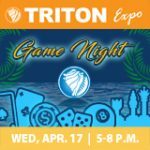 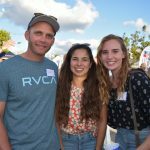 This year’s show also highlighted a 67,000-square-foot tented pavilion with exhibitors at the One Herald Plaza location. 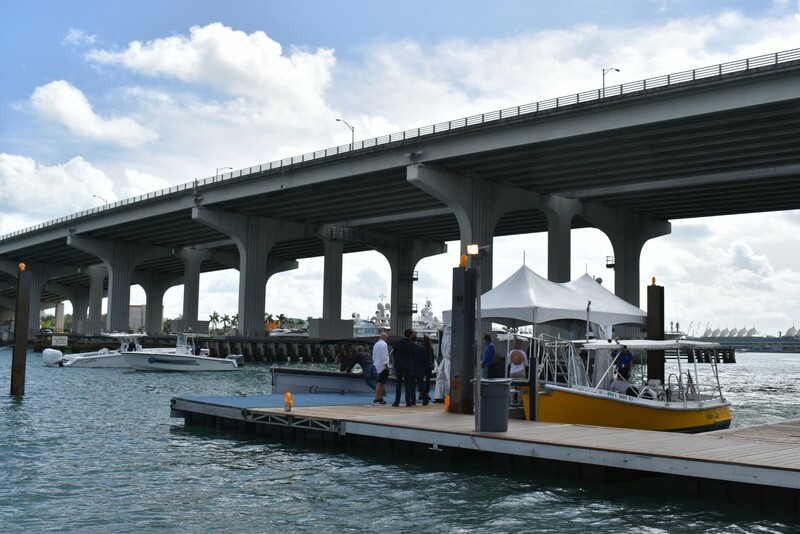 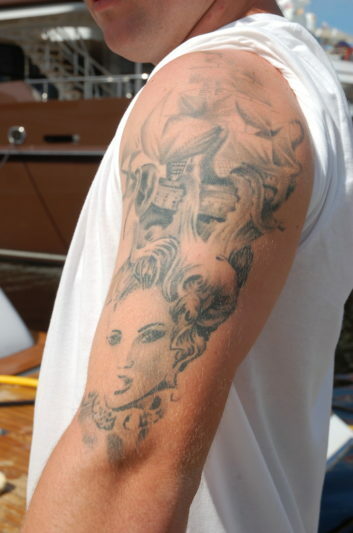 A separate show, the Miami International Boat Show runs on Virginia Key, south of Miami at Miami Marine Stadium.